With cash rates available to savers still mostly offering a negative real return after inflation, Structured Deposits can be a highly useful method for you to obtain attractive returns without taking on conventional market risks. Structured Deposits are quite simply cash deposit alternatives. For anyone that might have a negative perception of Structured Products or consider them complicated or high risk, hopefully Structured Deposits will go some way to dispel that myth. They are fully covered under the FSCS Scheme up to £85,000 per client per institution, and can even be held in joint accounts to have £170,000 capital protected. They have their upside linked to the FTSE 100, but have zero market risk. The worst case scenario is you might just get your money back at the end of the term, however, the upside can be significantly higher than any other cash solution in the marketplace. In the UK there’s currently over £1.5 trillion deposited in banks, building societies and NS&I. The average instant access account including bonus is 0.27% per annum and on cash ISAs 0.93%. Although secure, this generates a negative real return, with the latest CPI figures at the time of writing being 1.8% and running below the government’s target of 2%. https://www.bsa.org.uk/statistics/savings. An example of where a Structured Deposit might offer value is the Investec FTSE 100 Kick-Out Deposit Plan 84. Version 84, it is the longest standing product in Investec’s range and offers a potential return of 6% interest per annum. As an example of the mechanics, when an investment is made Investec take the level of the FTSE 100 on the start date, e.g. 7000. It’s a 6 year plan, but has the potential to mature early (kick-out) if the market is higher from year 3. If the market is higher than 7000 on the third anniversary you would receive an 18% return on your investment (3 x 6% per annum), however, if the market was lower it simply rolls into year 4. In year 4 on the anniversary the same process occurs and if the market is higher than the initial index level of 7000 you would receive 24% (4 x 6%) and the plan would mature early, if not it rolls into year 5. This is repeated for years 5 and 6 meaning you have four opportunities for the FTSE 100 to be higher than its initial index level to achieve the stated rate of return. If the market is lower on each anniversary, you simply receive a return of capital. Investec have maintained these contract terms since the middle of 2018 at 6% Structured Deposit Contract terms. See our article : https://www.bestpricefs.co.uk/blog/potential-return-6-structured-deposit-rate-launch/. It’s worth noting that all returns are net of fees, so these are the figures you would actually receive on your investment assuming the conditions had been met (there’s no initial or annual management charge eroding the return, for example). It is also worth noting that although it is designed to be held for the full term, every deposit plan has a daily unit price and daily liquidity. Ultimately, the outcomes are binary. For this reason I would argue that although there is no risk to capital, it’s more the opportunity cost being sacrificed of a fixed rate of interest and the capital protection this type of plan is certainly a ‘no brainer’ for consideration of part of an investment programme. If held direct, the returns on a Structured Deposit are liable to Income Tax. However, all are suitable to be held within tax efficient wrappers (ISAs, Pensions, Offshore Bonds). I am sure a lot of people reading this may have 10s or even 100s of thousands sat in ISAs/Cash ISAs earning very little in interest. 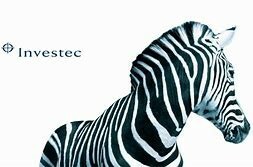 Investec have their own ISA wrapper and can accommodate current tax year ISA investments up to £20K (£40K for dual ISA applications this tranche), but also ISA transfers from existing accounts. The transfer process is completed by Investec and there are no additional charges for holding the plans in Investec’s tax wrapper. As always, we recommend investors invest in a diverse range of products in order to meet their investment risk, goals and risk capacity. Importantly, it must be understood that the product details provided in this communication do not constitute ‘advice’ ‘Advice’ is always specific to an individual’s needs. As always, if you require advice, simply get in touch.